Are you searching for a car or limo Corporate Transportation Service near your location? Yes, you are in the right place! Every single meeting holds a great importance in the business world. Punctuality is a pre-requisite for being successful in the corporate field. We understand that Corporate Transportation Service or a business trip is such a pain. There’s so much to deal with, once you are done with your luggage, you have to find a nice rental car service Chicago for your trip and if turns into a disastrous journey to the meeting, you will completely lose focus on what you have prepared for the meeting. So its hell of a task and risk to find the car service at the last moments before the business meeting. A reliable and a punctual limousine Corporate Transportation Service very much important for a business people. So, before you leave for a meeting or a business trip its best to book your corporate transportation service to avoid any kind of uncertainty. Anyhow, if your boss has called you for an urgent meeting or there comes an unexpected business trip, don’t panic! Our Chicago limousine service takes emergency bookings for our clients and will take you to your destination whether it is an airport or an office plenty of time ahead. Creating a professional image among your clients is a goal for every business person. From the suit you are wearing, the mobile you are carrying, to the car you are traveling all counts in when you are building a fine perception of yours. Make an everlasting impression by traveling in one of the high-class Chicago Corporate Transportation Service, SUV limo Chicago, private car service Chicago or black car service Chicago with All Action Limousine. Our luxurious vehicles will take you to and from a conference, summit, airport, event all around Chicago areas. Ride in style, astonish your clients, be an extra confident and focus on your agenda of the meeting or trip. From a small visit to a large business summit, we are there with our large range of stylish, comfortable and latest vehicles. 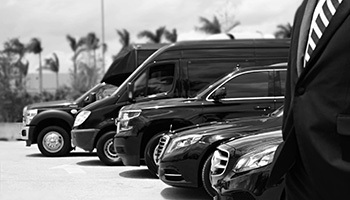 Advanced GPS trackers are fitted in the limos to keep track of every vehicle to ensure the safety of our clients. Book your ride with our online reservation system, pay with our electronic billing facility and have a good time with our Chicago car service. Traveling to a new place is a hectic task especially if it’s a business trip or event. The only thing you want is to finish up the task, attend the conference, meet your corporate clients and get the job done so you can get back home safely. It would a silly decision to rely on a local cab service and waste your energy in such an important time. With a Corporate Transportation Service like All Action Limousine, you can travel in a classy Chicago corporate limo and enjoy the precious time. All Action Limousine strives to provide professional chauffeur service that surpasses the expectation of the clients. Each of our corporate car service chauffeurs is well dressed, polite, courteous and trained. We provide meet and greet service to our Corporate Transportation Service clients that only a few companies offer. Our chauffeur will facilitate your passage through the airport and help you with your luggage if you have just arrived at the business trip to a new city. Chicago transportation services involve the assistance of our staff members throughout your time at the airport so you can smoothly perform all the formalities at the airport checkpoints. So, book a ride online and have a safe traveling experience.